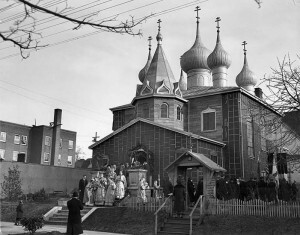 Here’s a trivia question for you: What is the most common name for an Orthodox parish in the United States? If you’ve been Orthodox for very long, this little nugget shouldn’t come as much of a surprise. But I tend to find such information fascinating, and recently, I decided to systematically study the question of parish names and patrons. I took all the parishes, missions, and chapels in the United States, listed on the SCOBA website, and plugged them into a spreadsheet. A few disclaimers, before we jump into the numbers: I didn’t include Canada, or monasteries, or any of the Moscow Patriarchate’s “representation” parishes. I’m sure I made some data entry errors, and of course, the numbers are only as good as SCOBA’s database, which I know isn’t perfectly up-to-date. As you can imagine, the churches dedicated to Christ or his mother have a host of names and feast days. There are, for instance, 28 parishes named “Christ the Savior” (or, once in a while, “Christ the Redeemer”). Another 25 are named for one of the many wonderworking icons of the Theotokos. As you might expect, given the special Russian affection for such icons, most of these parishes are either OCA or ROCOR. Of course, the Ukrainian jurisdiction has far fewer churches than the OCA — 101 Ukrainian, 562 OCA, based on the SCOBA database — which means that a few parishes make a bigger difference. The Ukrainians are understandably devoted to St. Vladimir, with 10 of their parishes named in his honor. The OCA and ROCOR have a combined total of 715 parishes, compared to the Ukrainians’ 101; nevertheless, of the 20 American Orthodox churches named for St. Vladimir, 10 are Ukrainian, and only 5 OCA and 5 ROCOR. St. Raphael in Charleston, West Virginia, in 1911. 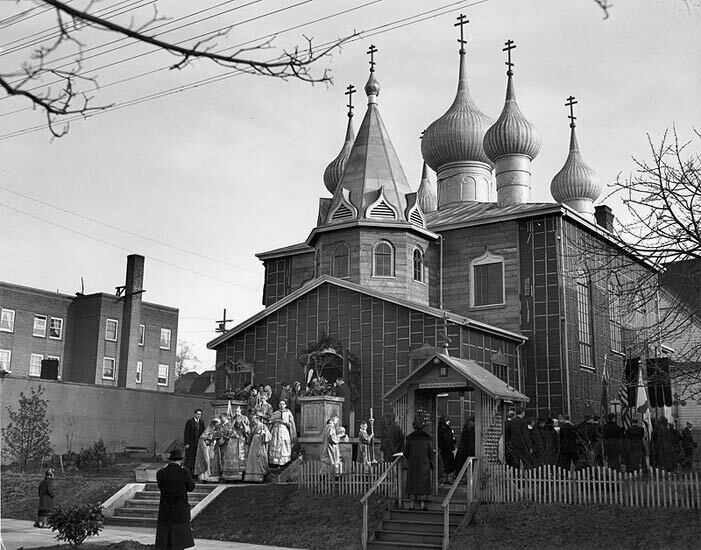 He founded St. George Orthodox Church, one of 18 parishes named for St. George which St. Raphael established in his 20 years in America. That figure for St. George — 17.6% — is the highest mark for any saint in any jurisdiction, other than the Theotokos. There are more Antiochian churches named after St. George than are named for the Theotokos and Christ put together. Also, while Ss. Peter and Paul didn’t make it onto the above list, if you combine the Antiochian parishes named for one or both of those Apostles, they represent 6% of all Antiochian churches in the US. 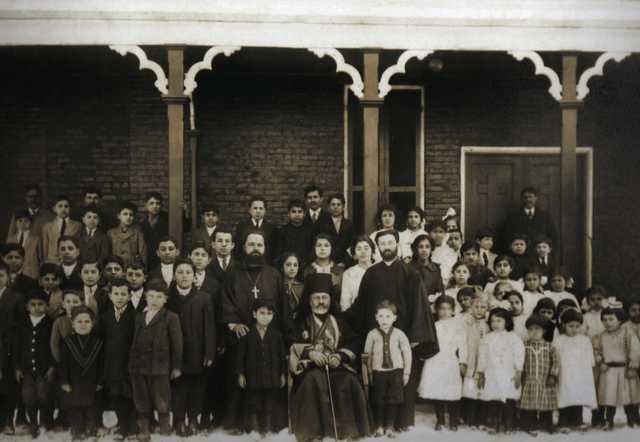 The first Serbian Orthodox parish in America, in Jackson, California, was named for St. Sava. It was established by a young Fr. Sebastian Dabovich in 1894. I haven’t mentioned the Romanian or Bulgarian Patriarchal jurisdiction, simply because, with only 25 and 22 parishes, respectively, the sample sizes are too small to mean much. The most common patron of a Romanian Patriarchal parish is the Theotokos, with four total churches. The most common patrons for Bulgarian parishes are Christ and the Theotokos, with three apiece. As I’ve said before, parishes named for a particular icon of the Theotokos tend to be either ROCOR or OCA. There are also a lot of Slavic churches named for the Protection of the Theotokos. Churches named for her Nativity are usually OCA; on the other hand, the Greeks tend to like the feasts of her Annunciation and Dormition / Assumption. Ss. Herman and Innocent were both canonized in the 1970s, so there has been plenty of time for parishes to be dedicated to their memory. St. Raphael, on the other hand, was glorified only a few years ago; that he is already the patron of seven churches is rather amazing. Thanks for this! I wonder what a similar study of clergy (bishop, priest, deacon) names would show. My guess would be Michael, John and George, and perhaps also Nicholas, with Alexander also very popular among Russians. I have it on good authority that all Antiochian clergy are named George, even if they’re not. The mission of St. Juvenaly in Kona, Hawaii, is, to our knowledge the first mission or parish to take him as a patron. The priest there, Fr. John Schroedel, has done a lot of work collecting the history of Orthodoxy on the Islands.